We have definitely been on the move! We have crossed two time zones and 4 states, climbed more elevation than we have in a long time and experienced some crazy weather. Our travel days have been pretty long to make up for the extra time we spent in the Keys. And with a moving MoHo comes the typical issues with a home on wheels. I guess we are making up for the months we were parked in Florida. We took a huge rock chip in the front windshield, but our insurance company paid for a fill. Our check engine light kept coming on when we were climbing some pretty big hills. Got the MoHo in for service and turns out we just needed to replace our fuel filters (thank goodness that was it!). The A/C is making funny noises, but we haven’t had to use it much with the cold weather, so we’re avoiding that one for now. And, one of our back slides is having issues and looks warped. Not sure what we’re going to do yet, as it does retract most of the way. As everyone in the RV world says, “it’s always something.” Enough about that! We had quick one-night stops in Hattiesburg, MS and Shreveport, LA. Not much to report for either place except we did make a donation to one of the casinos in Shreveport. Also had some very stormy weather complete with a spectacular thunder and lightning show right outside our window. The next stop was Dallas/Ft. Worth, TX. I had been there for a girl’s weekend last February, so was ready to show Mike some of the places that we had visited. 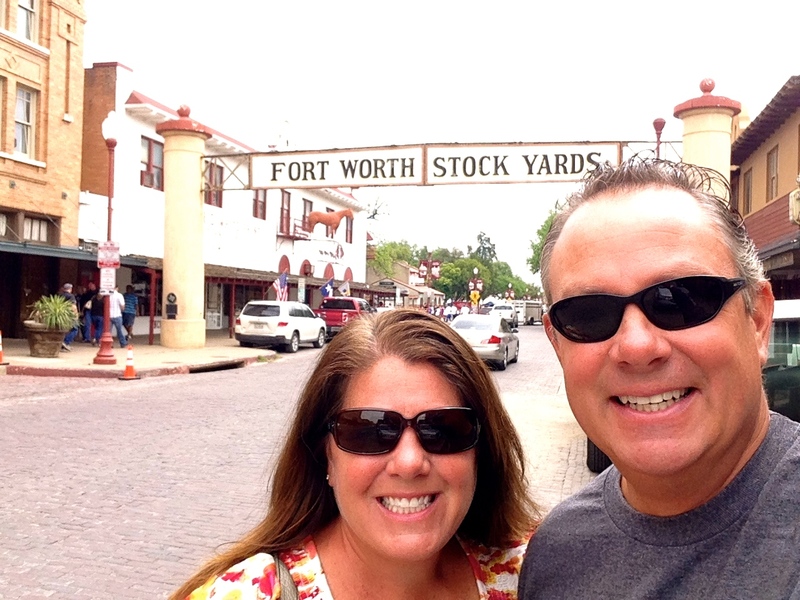 Our 3-night stay at the Texan RV Ranch was perfectly situated between Dallas and Ft. Worth allowing for exploration of both places. 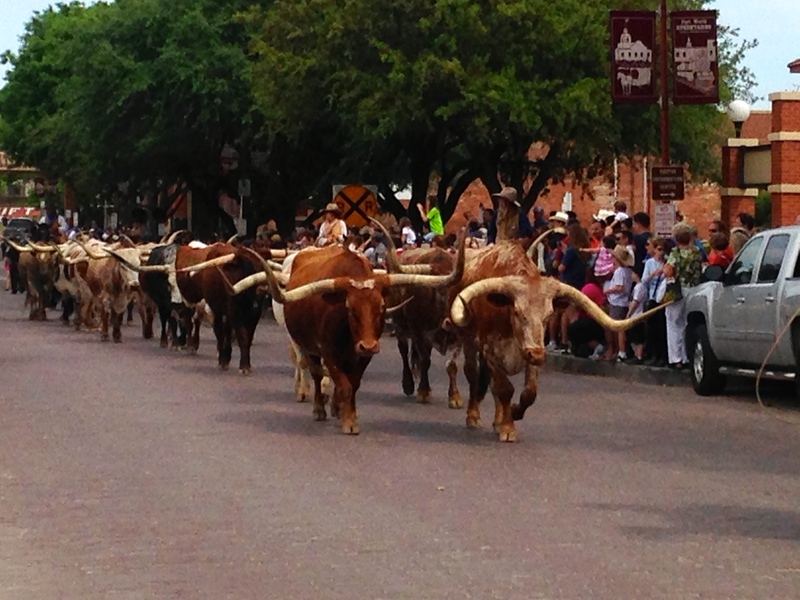 On the first day, we headed out to the Ft. Worth Stockyards. 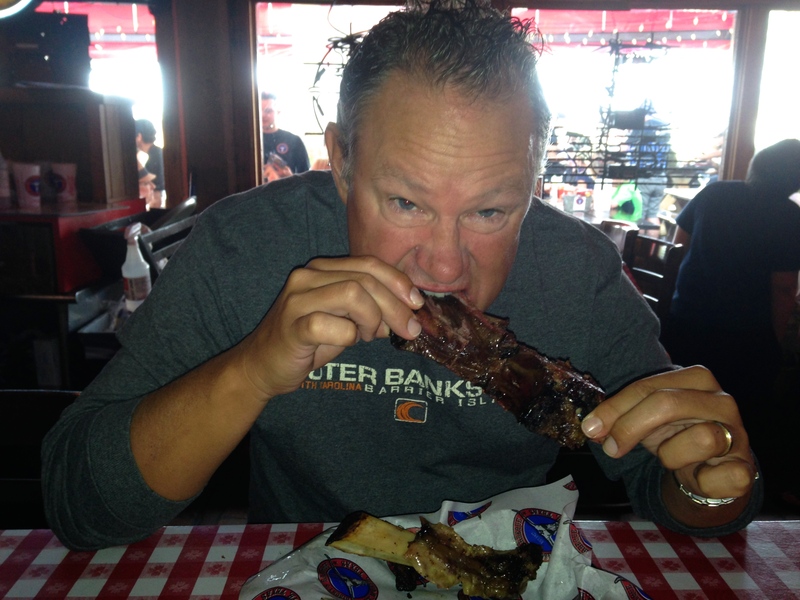 We had a great time walking the streets, checking out Billy Bobs (world’s largest honky tonk), watching the cattle run and Mike dining on all-you-can-eat ribs. We were back to the RV Park before dark, so not quite the same experience I had with Shelly & Sunny, but still fun to see the area again. The next day we drove into downtown Dallas and it was pretty quiet as it was Sunday. 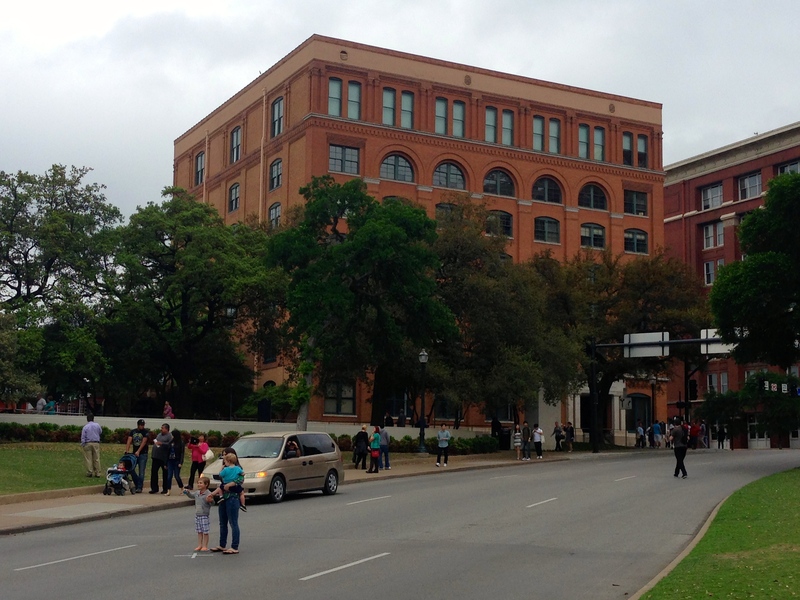 We walked around the area where the JFK assassination took place, hit a local Farmer’s Market, then decided to get back to the MoHo to watch the final round of the Masters. Hard to believe a year has passed since we were there. Glad to see Jordan Spieth get the green jacket! Stormy and cold weather were heading our way, so we decided to get out of Texas and drive straight to New Mexico to avoid the heavy rain and flooding. The drive to Carlsbad, NM was one of the worst we have had due to the crazy weather and wind. Looking forward to our time in NM and exploring an area that neither one of us have been before. 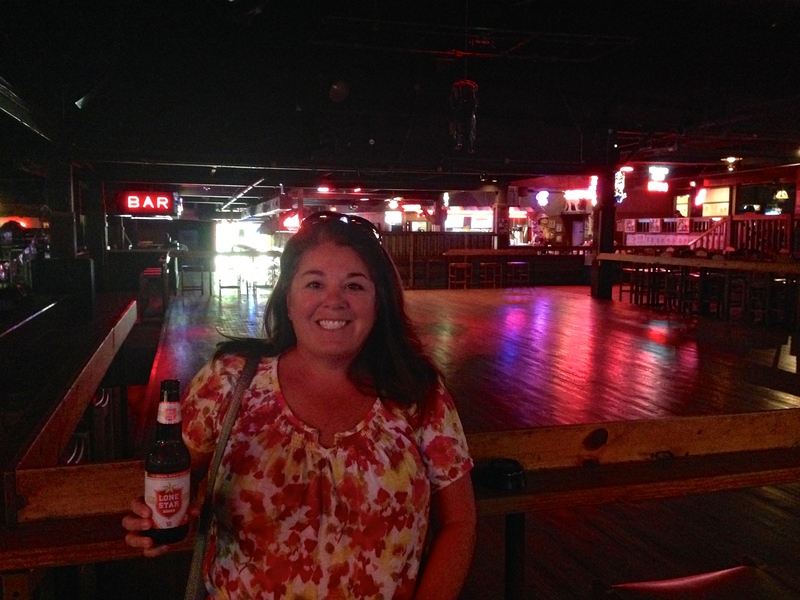 This entry was posted in April 2015 and tagged Billy Bob's, Dallas, Ft. Worth Stockyards, JFK assassination, RV repairs, Texas on April 19, 2015 by Traci.